Archive for the ‘gamma-ray’ Category. X-ray summer school is on going. Numerous interesting topics were presented but not much about statistics (Only advice so far, “use implemented statistics in x-ray data reduction/analysis tools” and “it’s just a tool”). 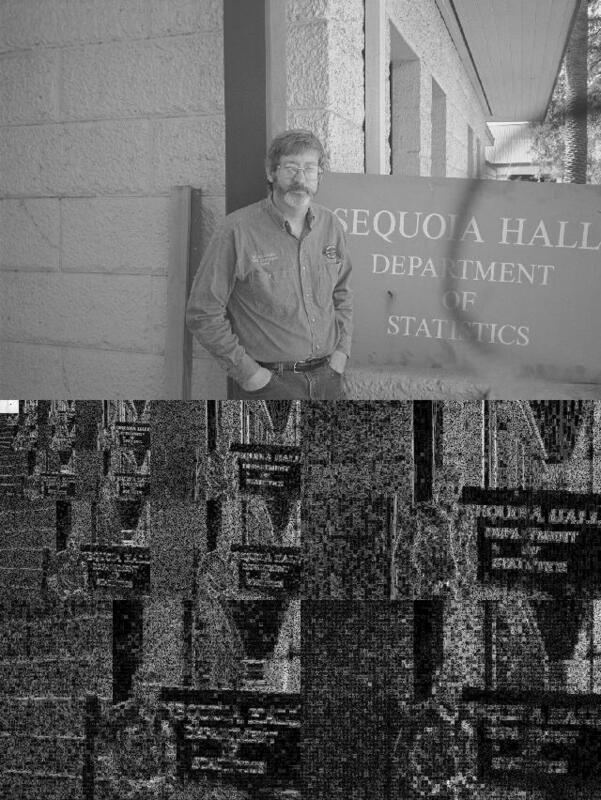 Nevertheless, I happened to talk two students extensively on their research topics, finding features from light curves. 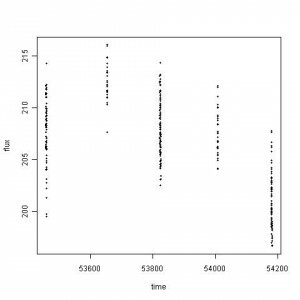 One was very empirical from comparing gamma ray burst trigger time to 24kHz observations and the other was statistical and algorithmic by using Bayesian Block. Sadly, I could not give them answers but the latter one dragged my attention. 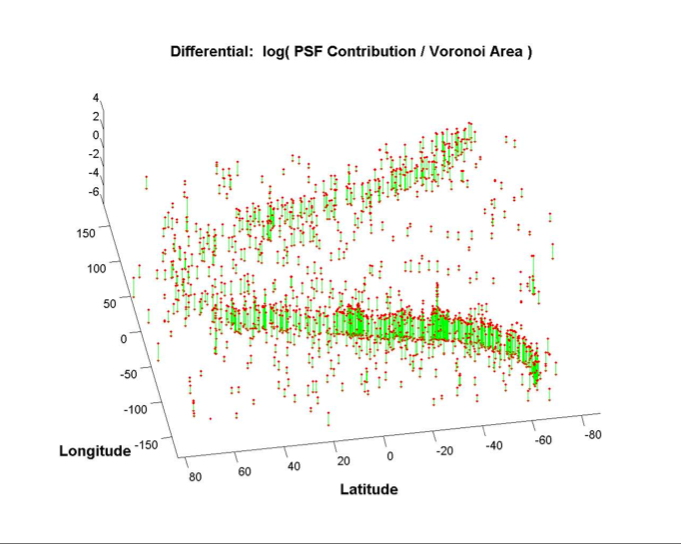 This ilustration is from Jeff Scargle’s First GLAST Symposium (June 2007) talk, pg 14, demonstrating the use of inverse area of Voroni tesselations, weighted by the PSF density, as an automated measure of the density of Poisson Gamma-Ray counts on the sky. http://glast.gsfc.nasa.gov/workshops/boston/ for registration and further information.